Modern homes and families use more electricity than ever before. Computers, smartphones, lights, sound systems, televisions and many appliances and even HVAC systems rely on electricity. Unfortunately, not all homes are designed to keep up with the demand. Even a home built just a decade ago may not have been designed to meet current electrical needs. Upgrading your main service panel is the best way to solve this all-too-common problem, and at Lightfoot Mechanical, we are here to help. We offer main service panel upgrades and circuit breakers in Weatherford, TX and the surrounding areas, and we can help ensure your home can keep up with your family’s electrical needs. When you need help with main service panel upgrades and circuit breakers in Weatherford, TX, depend on the experts right here at Lightfoot Mechanical. 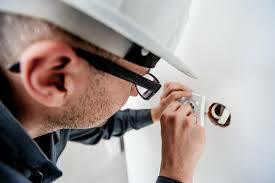 Contact us today to schedule an appointment with one of our licensed electricians.